French philosopher, scientist, and mathematician, who revived Epicureanism as a substitute for Aristotelianism, attempting in the process to reconcile mechanistic atomism with the Christian belief in an infinite God. Born into a family of commoners, Gassendi received his early education at Digne and Reiz. He studied at universities in Digne and Aix-en-Provence and received a doctorate in theology at the university in Avignon in 1614. After being ordained a priest in 1616 he was appointed professor of philosophy at Aix-en-Provence. There he delivered critical lectures on the thought of Aristotle from 1617 to 1622, when the new Jesuit authorities of the university, who disapproved of Gassendi’s anti-Aristotelianism, compelled him to leave. Gassendi’s work Exercitationes paradoxicae adversus Aristoteleos (“Paradoxical Exercises Against the Aristotelians”), the first part of which was published in 1624, contains an attack on Aristotelianism and an early version of his mitigated skepticism. Gassendi thereafter engaged in many scientific studies with his patron, Nicolas-Claude Fabri de Peiresc, until the latter’s death in 1637. A considerable portion of his researches during this period involved astronomical observations, including his discovery in 1631 of the perihelion of Mercury (the point of the planet’s closest approach to the Sun). In 1645 Gassendi was appointed professor of mathematics at the Collège Royal in Paris. 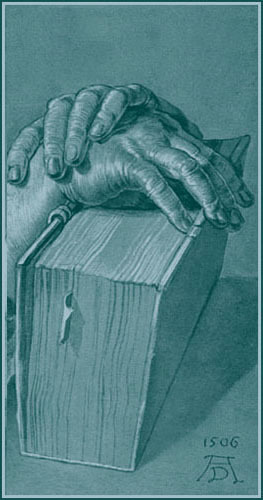 During the remainder of the decade he published a work on the new astronomy, Institutio astronomica juxta hypotheseis tam veteram quam Copernici et Tychonis Brahei (1647; “Astronomical Instruction According to the Ancient Hypotheses as Well as Those of Copernicus and Tycho Brahe”), as well as two of his three major works on Epicurean philosophy, De vita et moribus Epicuri (1647; “On the Life and Death of Epicurus”) and Animadversiones in decimum librum Diogenis Laertii, qui est de vita, moribus, placitisque Epicuri (1649; “Observations on Book X of Diogenes Laërtius, Which Is About the Life, Morals, and Opinions of Epicurus”). In his final Epicurean work, Syntagma philosophicum (“Philosophical Treatise”), published posthumously in 1658, Gassendi attempted to find what he called a middle way between skepticism and dogmatism. He argued that, while metaphysical knowledge of the “essences” (inner natures) of things is impossible, by relying on induction and the information provided by “appearances” one can acquire probable knowledge of the natural world that is sufficient to explain and predict experience. Adopting a view characteristic of ancient Skepticism, Gassendi held that experienced events can be taken as signs of what is beyond experience. Smoke suggests fire, sweat suggests that there are pores in the skin, and the multitude of events suggests that there is an atomic world underlying them. The best theory of such a world, in Gassendi’s opinion, is the ancient atomism expounded by Epicurus (341–270 bce), according to which atoms are eternal, differently shaped, and moving at different speeds. Gassendi argued that such atoms must have some of the physical features of the visible objects they constitute, such as extension, size, shape, weight, and solidity. The atoms collide and agglomerate, resulting in events in the perceptible world. A mechanical model of atomic movement and agglomeration, ultimately based on experience, would allow one to discover probabilistic empirical laws, to make predictions, and to explain relationships between different kinds of phenomena. Because the phenomenal world is thus related to the atomic world, there is no need to explain events in terms of purposes, goals, or final causes, as in Scholastic and Aristotelian teleology. Gassendi believed that there was no conflict between his mechanistic atomism and the doctrines of Roman Catholicism; indeed, he took pains to emphasize their compatibility. Although he was a heliocentrist, he presented his astronomical views in a way that made them at least superficially consistent with the teachings of the church, which had condemned Galileo for his heliocentrism in 1633. Although Gassendi’s atomism was as complete an account of nature as any other scientific theory of its time, it was eventually replaced by the physics of Sir Isaac Newton. No important discoveries are attributed to Gassendi’s scientific program. Gassendi rejected the Epicurean account of the human soul, according to which it is material but composed of lighter and more subtle atoms than those of other things. Souls are genuinely immaterial, and their existence is known through faith. Likewise, his theology, unlike Epicurus’s, did not conceive of God as a material body. God’s existence is proved by the harmony evident in nature. Following Epicurus, Gassendi held that the proper goal of human life is happiness, which consists in the peace of the soul and the absence of bodily pain. It has long been debated whether Gassendi was really a secret libertine—a freethinker in matters of religion and morals. Although he was a close associate of some notorious religious skeptics and even took part in their retreats, he was also good friends with some leading church figures, such as the theologian and mathematician Marin Mersenne. Indeed, Gassendi and Mersenne had quite similar views about science and its foundations. Gassendi’s associations with a wide range of other intellectual figures, including Thomas Hobbes and Blaise Pascal, lend themselves to varied interpretations. In 1648 Gassendi resigned his post at the Collège Royal because of poor health. After nearly five years in Provence he returned to Paris in 1653, taking up residence in the house of his new patron, Henri-Louis Habert, lord of Montmor. He died there two years later. 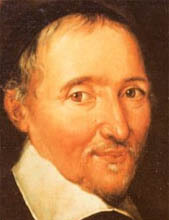 Gassendi’s ideas were extremely influential in the 17th century. Although his works were originally published as huge Latin tomes, a French abridgement of them appeared in the second half of the century, as did English translations of various excerpts. His ideas were taught in Jesuit schools in France, in English universities, and even in newly founded schools in North America. Because Gassendi’s epistemological views seem to be echoed in major sections of John Locke’s Essay Concerning Human Understanding (1690), one of the founding works of British empiricism, some scholars have concluded that Locke was directly influenced by Gassendi. It is interesting to note in this connection that the Syntagma was published in English in Thomas Stanley’s History of Philosophy (1655–62), a work that Locke knew. Locke also met some of Gassendi’s disciples during his exile in France. At the turn of the 21st century there was growing interest in Gassendi’s critique of Cartesianism, and his scientific researches were shedding new light on the early development of botany, geology, and other fields. He is now regarded as an original thinker of the first rank.